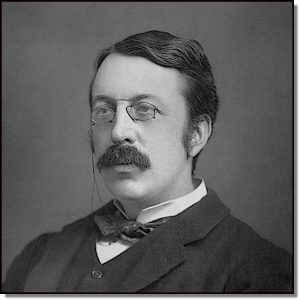 Irish-born composer Charles Villiers Stanford wrote seven symphonies and other concert-hall works, but is better know for his choral repertoire for use in the Anglican liturgy. He was a founder (at the age of 29) of the Royal College of Music, where he taught composition until his death. Among his students were the more celebrated composers Gustav Holst and Ralph Vaughan Williams. Upon his death, Stanford’s ashes were interred in Westminster Abbey, next to those of the great seventeenth-century English composer Henry Purcell. Stanford’s best-known liturgical works are his settings of the canticles for Morning and Evening Prayer, particularly his Magnificat in G major, sung here by the choir of St. John’s College, Cambridge.